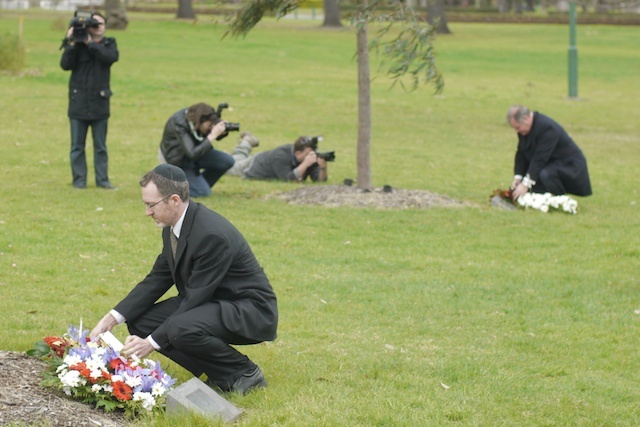 We, the signatories to this Statement, are members of the Jewish Christian Muslim Association of Australia, an association formed in 2003 and supported by the Victorian peak bodies of the three Abrahamic faiths. We have come together, following the recent hostilities in Gaza and in recognition of the need for all to maintain dialogue with each other. We believe that we share a common humanity and a common set of values about the sanctity of human life. We are deeply distressed by the events in Gaza earlier this year. We fervently pray, as Jews, Christians and Muslims, for an end to the conflict between the Palestinian and the Israeli peoples. We seek a just and lasting peace; we desire that the people of the region should live with renewed hope for the future, free of fear, in decent living conditions and in economic security. We affirm our commitment to continue to engage in honest dialogue with each other. We acknowledge and express our sympathy for the deep pain suffered by the victims of the conflict and by the families of the many innocent civilians, Palestinian and Israeli, who have died as a result. We grieve for the loss of innocent lives on both sides. We call upon all parties to the conflict to recognise the aspirations of the other for their peoples to live in peace, security and prosperity with all the freedoms and human rights granted by our common Creator. We call upon Hamas and others to cease missile and other attacks upon Israel and its citizens and for Israel to cease all military operations in Gaza. As described in international law, we acknowledge that both Israelis and Palestinians have a right to protect their citizens. However, we are deeply disturbed by any violent action that results in the loss of civilian lives and destruction of non-military infrastructure and we call upon all parties to employ diplomatic strategies that avoid such losses. We express our support for the establishment of a viable Palestinian state alongside Israel and believe that it has the right to exist and prosper in the Middle East within secure, mutually recognised and internationally guaranteed borders. We believe that the state of Israel has the right to exist and prosper in the Middle East within secure, mutually recognised and internationally guaranteed borders. We reject the policy of Hamas, enshrined in its Covenant, which denies the right of Israel to exist as a sovereign state; we further reject its desire to bring about Israel’s destruction and call upon Hamas to amend its Covenant so that it recognises Israel’s right to exist. We call upon Hamas and the Palestinian Authority to exercise the primary obligation to pursue a peaceful and prosperous life for the Palestinians in coexistence with their neighbours. We call upon the Government of Israel to pursue policies which support a peaceful and prosperous life for the Palestinians in coexistence with their neighbours. We are thankful that a ceasefire, albeit imperfect and temporary, has been announced, and pray that the recent hostilities, and the violent actions that preceded it, come to a complete end. We acknowledge with gratitude those people of all faiths and none, Israelis, Palestinians and others from around the world who are working on the ground to bring Israelis and Palestinians together to work for peace and reconciliation, to protect the innocent, and to care for the injured, bereaved and displaced, often at considerable risk to themselves. We believe that the conflict cannot be resolved through violence and that ultimately the only way forward is for the parties to the conflict to meet in order to find mutually agreed ways to bring the conflict to a peaceful end. We are deeply saddened by the use of violence, which often results in more violence, hatred and retaliation. We call upon Israel, the Palestinians, their neighbours committed to a peaceful solution, and the international aid community, to find practical ways to provide immediate and substantial humanitarian aid to the people of Gaza, so that the aid reaches those who need it and to ensure that the smuggling of arms into Gaza is stopped. We consider it unacceptable that decades after the wars that the people of Gaza have experienced, many are still living in squalid refugee camps, with inferior conditions of housing, education and medical services. We ask that a respected international agency, mutually agreed by both sides to the conflict, be invited to establish an Economic Commission to recommend ways of improving the Gazan economy and the living standards of the people of Gaza, so that their hopes for the future may be restored. We note that silence at critical times can also be damaging to community relationships. We call on community leaders to speak out, using language designed to foster understanding, compassion and respect. We are concerned about the increase in anti-Jewish incidents, anti-Israel incidents and anti-Muslim incidents, both here and in many parts of the world, and denounce any attempt to incite hatred against any of our faith communities in Australia. We are committed, despite differences in our religious traditions, our political positions and our personal understandings of the complex history of the long-standing conflict, to continue to engage with one another and to encourage others in our faith communities to become involved in dialogue, here in Australia and globally. May the God who created us all help us to become imbued with justice and compassion so that ways may be found in these troubled times to bring about peace and reconciliation between peoples in conflict.